Knowledge of Islamic Contract Law is crucial to understanding Islamic finance. The Arabic word for a contract is Aqd'. Before we look at some of the intricacies of a contract, we will delve into two preliminaries: how Islamic law deals with unilateral promises (the Wa'd) and bilateral promise (the Muwada). Wa'd relates to a promise by an individual or a party to do or not do a particular action. Such an agreement would consist of a promisor (promises to buy/sell) and promisee (enters into a promise with the promisor). For example, Shareen promises to sell her house to Sarah. This is a unilateral or one-sided promise, which only binds the promisor (Shareen). As a result this is not considered to be a contract, which would involve an offer and acceptance (bilateral). There are four main schools of thought on Wa'd promises, which are summarised below. School One: This school consists of Imam Abu Hanifah, Imam Al-Shafai' and some Maliki scholars. The view of this school is that satisfying a Wa'd promise is honourable, but not obligatory. School Two: Samurah b. Jundub and some Maliki scholars. The promisor is under a legal obligation to fulfil the promise. School Three: Some Maliki scholars. The promise is only binding when the promisee incurs a loss or expense in an effort to meet the promise. The promisee incurs a loss or expense in an effort to meet the promise. The actual sale is completed. Unilateral promise (wa’d), which is issued unilaterally by either the orderer or the client, is by religion binding upon the promisor except where otherwise justified. It is also judicially binding if it is made contingent upon a reason and if the unilateral promise (wa’d) entails a cost for the unilateral promise (wa’d). In such cases, the consequences of the binding character of the unilateral promise (wa’d) are determined by either the fulfillment of the unilateral promise ( wa’d) or by reparation for losses actually incurred as a result of the non-fulfillment of the unilateral promise (wa’d) without justification. The definition of a muwaada is two parties performing two unilateral promises on the same subject. For example, Moneeb promises to buy Jake's house for $150,000 in the next 6 months. In return Jake agrees to sell his house to Moneeb for $150,000 in the next 6 months. Most Islamic jurists look less favourably at Muwaada, compared to Wa'd since the use of two unilateral promises can lead to a forward contract, which is impermissible. We can summarise the two main schools of thought as per below. School One: AAOIFI, Islamic Fiqh Academy and the majority of scholars. Muwaada is is only permissible when it can be validly executed. School Two: Hanafi jurists. Forward contracts can be based on the Muwaada principle, as long as there are no other prohibitions (such as excessive gharar and short selling). Bilateral promise (muwa‘da) is admissible in murabahah upon the condition that the bilateral promise (muwa‘da) is optional for both or either parties. If the bilateral promise (muwa‘da) offers no choice, then it is inadmissible because a binding bilateral promise (muwa‘da) in murabahah is comparable to an ordinary sale where it is required that the seller be in possession of the goods sold in order not to violate the prohibition by the Prophet (PBUH) of «the sale by a seller of that which is not in his possession» (bay‘ al-‘insan ma laysa ‘indah). Uqud al Mua'wada: compensatory contracts, e.g. party A sells his car to party B for £1,000. Uqud Ghaer Mua'wadha: Non-compensatory contracts, e.g. loan with interest. Offer and Acceptance (this must relate to the same price and subject matter). Material Effect in exchange of subject matter. It is important to note that the contracting parties to the above contract need to be mature and sane. Value: The subject matter needs to be consistent with Islamic teachings, i.e. a contract involving wine, pork and military would not not be valid, as these subjects have no value. Existence: The subject matter needs to be in existence, e.g. a contract involving the sale or purchase of a house yet to be built would be invalid. There are of course two exceptions to this: salam and istisna. Ownership: The seller needs to have ownership of the object. Deliverability: The seller is able to deliver the goods to the buyer. Of course this condition does not apply to certain objects, such as houses. Specific: In this case, the subject must be clearly defined, e.g. "I will sell you one of my cars..." would be invalid as the car has not been defined. Historically, the concept binding wa'd has been discussed in the context of gifts of loans. However, as the Islamic finance industry extended its footprint from the 1970s onwards, Islamic jurists had to revist the issue. Can a unilateral promise be a binding contract? Indeed, the application of binding unilateral promise is widespread in the Islamic banking industry, involving many products: lease ending with ownership, diminishing partnership (musharakah), Islamic exchange rate products (e.g. forex forwards), Islamic profit rate swaps (PRS) and sukuk . Why do Islamic banks use wa'd? There are many reasons. Mainly, the wa'd concept is used to avoid selling something that is not own and overcome deferred interest (in the case of, e.g. forex forward contracts). This flexibility makes wa'd an extremely potent tool for structurers in developing Islamic banking products. Source: Dr. Akram Laldin, ISRA. a) Total ownership: this includes both legal (i.e. title) and beneficial ownership (e.g. the usufruct of living in a property). b) Partial ownership: in this case, the person has either legal or beneficial ownership, but not both. 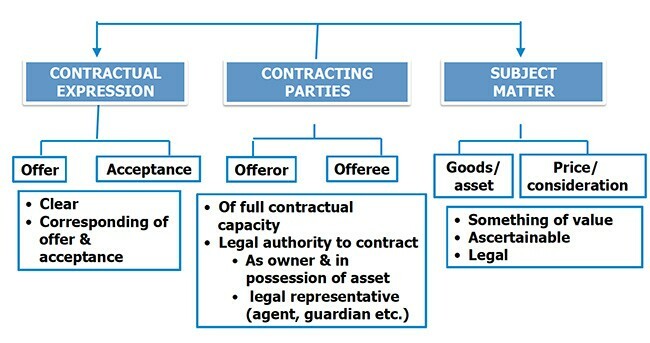 Islamic Contract Law, 1st Ethical, 2010. The Bindingness and Enforceability of a Unilateral Promise (Wa'd): An Analysis From Islamic Law and Legal Perspectives, Dr. Marjan Muhammad et al, 2011, ISRA, Research Paper.